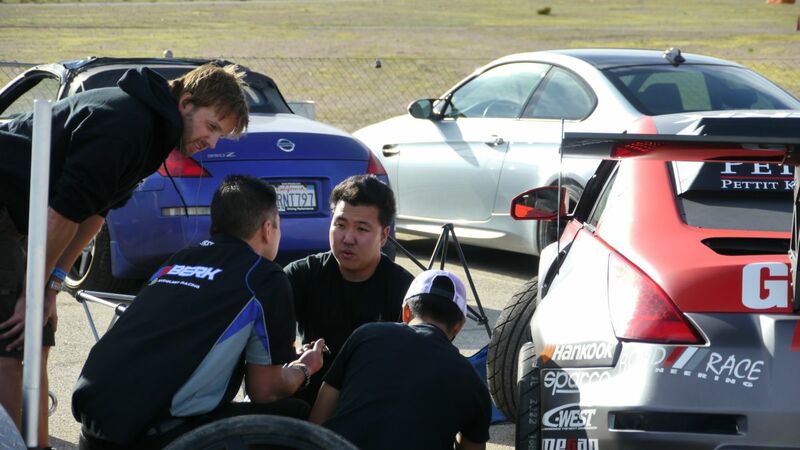 Dr Alex and his Varis Widebody EVO 6 ran with the Porsche Owner’s Club at Willow Springs on the big track. 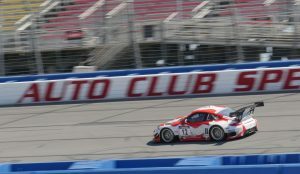 Running in the GT-1 class in the Cup Race Alex qualified 11th in the Cup Race and finished 11th overall. Alex also ran one session in the Time Attack and his 1:28 stood for the fastest time for the weekend. The EVO 6 is powered by a RRE 2.3 with a Garrett GT3582R turbo. It runs on E85 and is tuned using an AEM Infinity ECU. 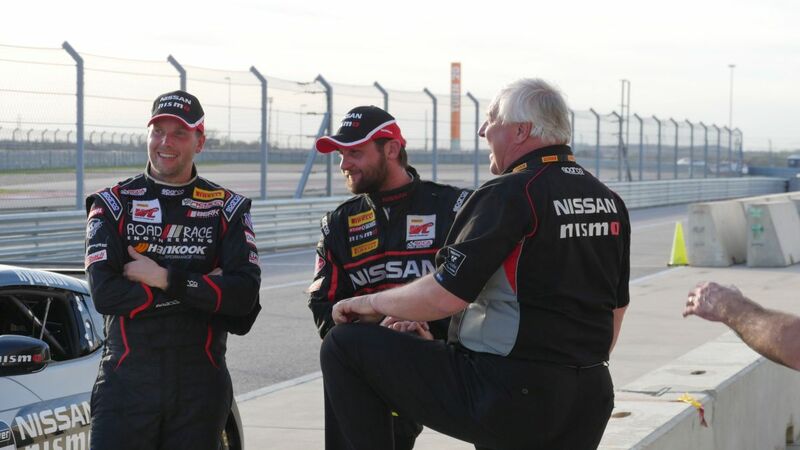 RRE went along to help service for Carl Rydquist and the CA Sport Nissan Team at Circuit of the Americas in Austin Texas with the #34 CA Sport Champion Spark Plugs Team Nissan 370Z Nismo ready to rock and hoping for a podium finish. 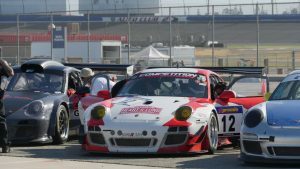 Austin offered perfect weather conditions and large crowds of fans came out to enjoy the Pirelli World Challenge season opener. After the dust had settled, Carl Rydquist came home with a 3rd place podium from a truly nail-biting race 1 and a pole position for race 2. 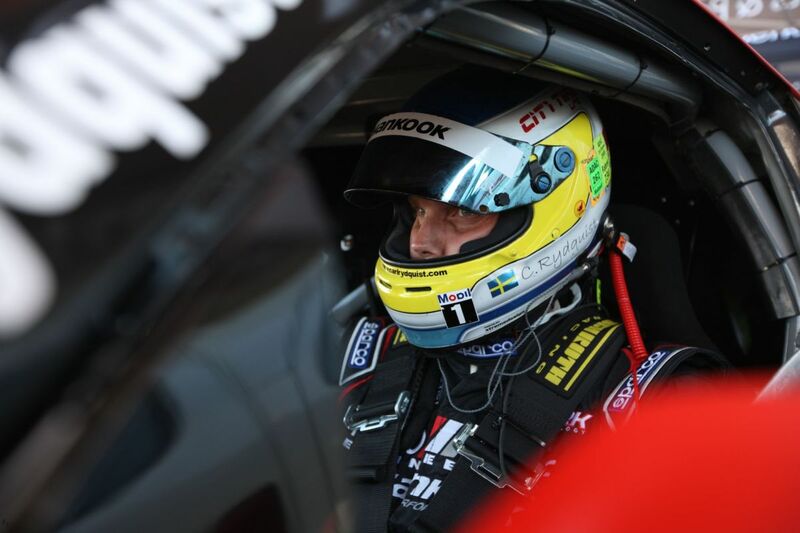 Carl Rydquist set the fastest laptime of all drivers in race 1 which qualified him for the pole position for race 2. He set off in the lead from a standing start in front of Vesko Kozarov and second place finisher from race 1, Toby Grahovec, however after 11 laps of nail-biting action among the front-running cars he was forced to retire the car with a power steering fluid leak. Vesko Kozarov went onto claim 3rd behind Toby Grahovec and Nick Wittmer, adding to the tally of trophies for CA Sport Team Nissan. On Saturday I started from pole position and did my first standing start with the #34 CA Sport Nissan 370Z Nismo. This video shows the start and the first few laps from Saturday’s race. It went pretty well until an unexpected oil leak forced me to retire the car just before halfway into the race. You may notice that the Touring Car class is pretty evenly matched, but it all varies a bit during the different stages of these 40 minute races depending on how hard you push and when you push, how your car is setup and if you run clear or if you are involved in constant battles. Also differences in engine power curves and gearing between the different cars have an impact in different areas of a track. All in all this was a great last minute race deal that came together. 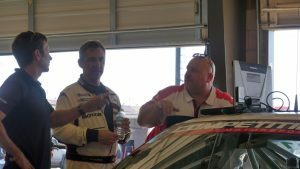 It became a valuable learning experience to get to know Circuit of the Americas, the Pirelli World Challenge, the strengths and weaknesses of the Nismo 370Z and the competition, and most of all how these 40 minute races develop and how the Pirelli racing tires need to be run in order to be in the battle for a win at the end. CBS Sports will air the races on TV on Thu March 17 at 8PM ET, with re-air March 17 9PM ET and March 19 12.30 ET. 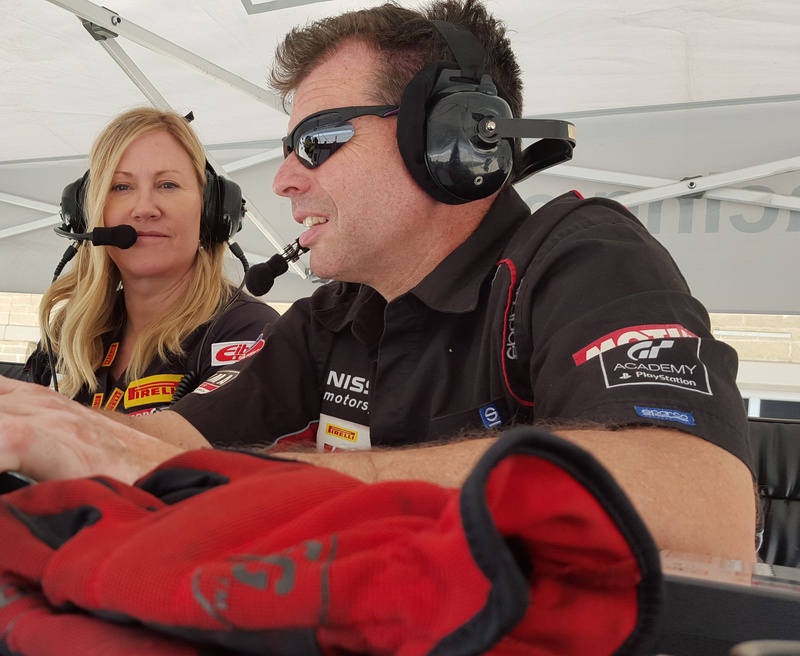 The livestream from the races is available for encore viewing at MotorTrend OnDemand. Next up on the Pirelli World Challenge Touring Car competition schedule is Canadian Tire Motorsports Park in Bowmanville, ON co-headlining with the NASCAR Canadian Tire Series as part of the Victoria Day Speedfest, on May 19-22, 2016. 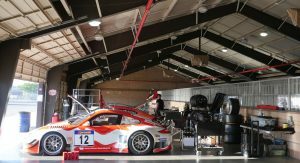 Carl Rydquist’s next event on the competition schedule is a 3-hour twilight endurance race with the Prototype Development Groups’ Factory Five Racing GTM at Willow Springs International Raceway, CA, on Friday night March 11th, 2016. THIS is why we hang out with Coco Zurita! A quick recap of all the fun we had with Coco in 2015. After ten iterations, the Evo is about to kick the bucket with no real successor in sight. We decided to pay homage to a modern tuner icon. 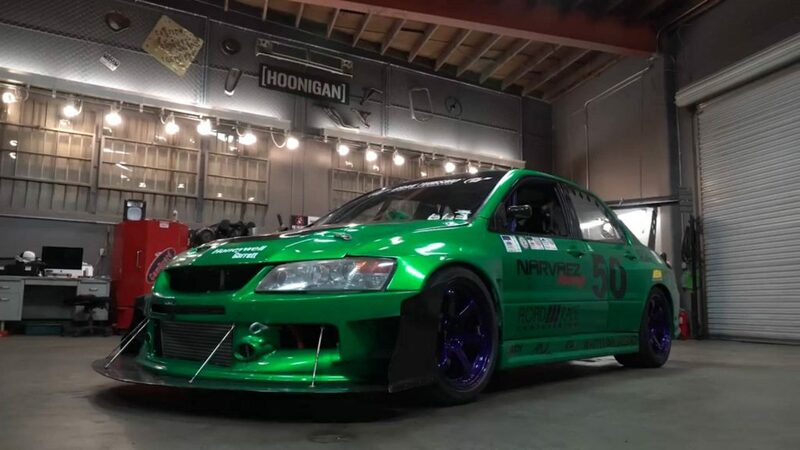 In our latest EF release, which first aired back in March on /Drive+, we profile two significant players in the Mitsu Evo realm: Mike Welch, the West Coast’s premier Mitsu tuner, and Canaan O’Connell, an up-and-coming star in the racing world. RRE and JemFX Motorsports make for a fun, mildly chaotic combination. 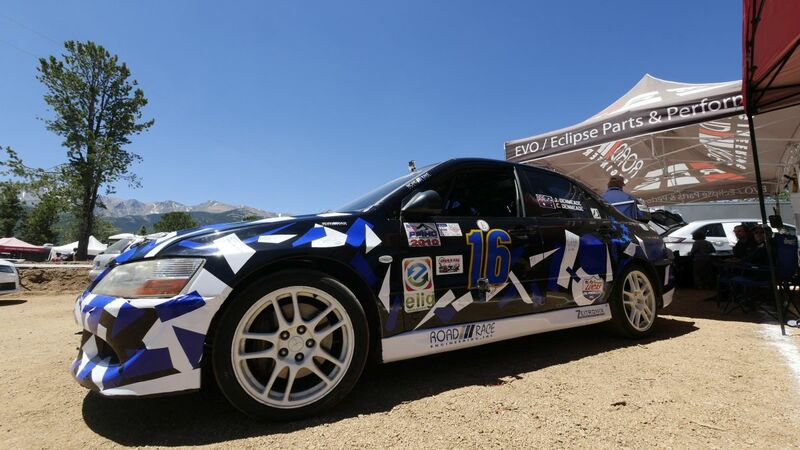 We had so much fun that we decided to profile their race at Pikes Peak in 4K. No, we don’t just mean GoPro 4K. We mean all sorts of footage in 4K. We’ll update you on that soon. “Dad, when do I get to go to the track to race?” OK, your turn buddy. 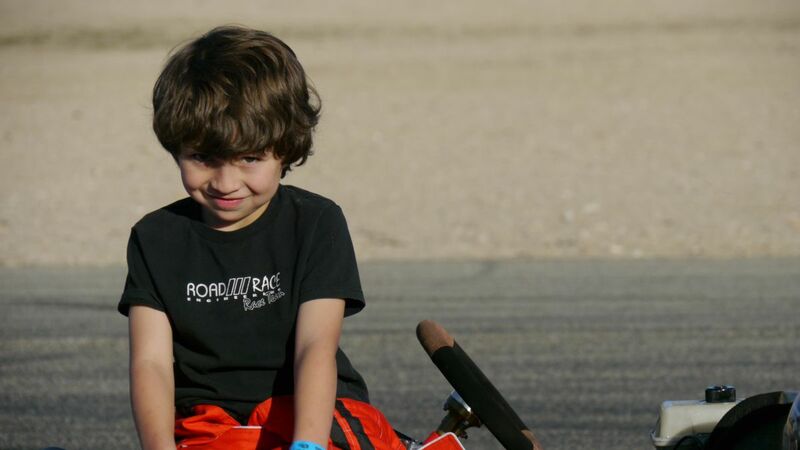 Bryce went to the actual Willow Springs Kart Track for the first time this weekend. 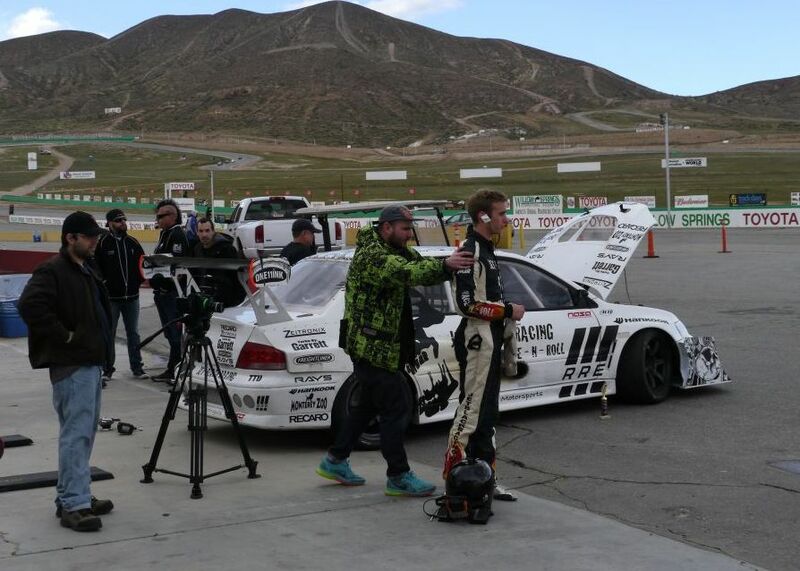 Over the last year he has done lots of, well “free form” driving in parking lots, the shop cul de sac, playing on the ovals at Willow Springs and up on the Balcony when we’d go testing with the various drift cars. But this is the first time he’s been on a real defined Go Kart track with left and right turns. I picked up a full size kart with a 100cc Rotax motor to chase him around and show him some lines. We both figured out pretty quick that you can’t turn and brake at the same time on a kart :-P He drove and drove until he ran out of gas. He pushed it to the pits, filled up and just kept going until at 4:00 we could hardly stand up in the Willow Springs afternoon wind. 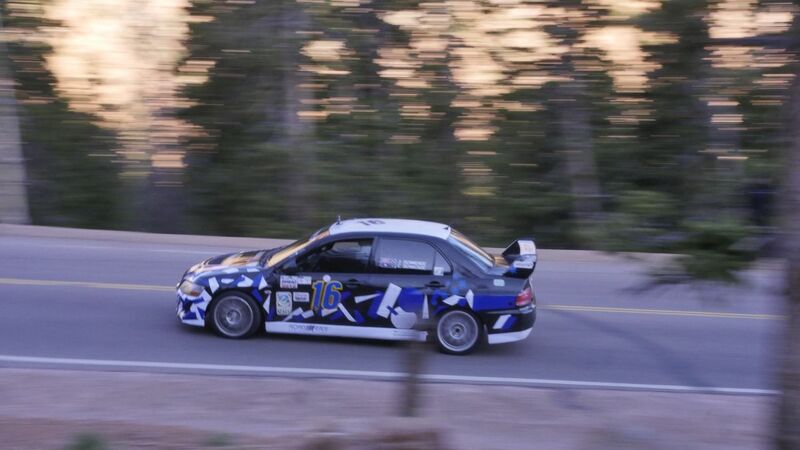 Danny qualified in 7th place in Pikes Peak Open class on Friday. Open Class is a catch all class at Pikes Peak that pretty much anything goes as long as it still somewhat looks like a car. 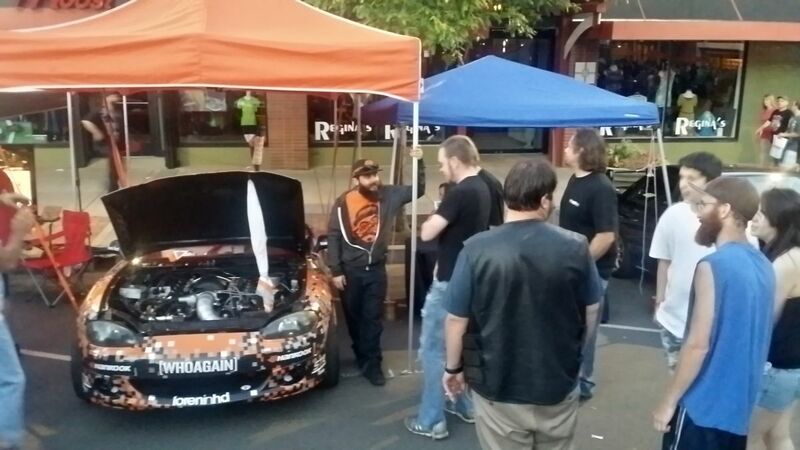 Friday night in downtown Colorado Springs is a huge street party with all the race cars. 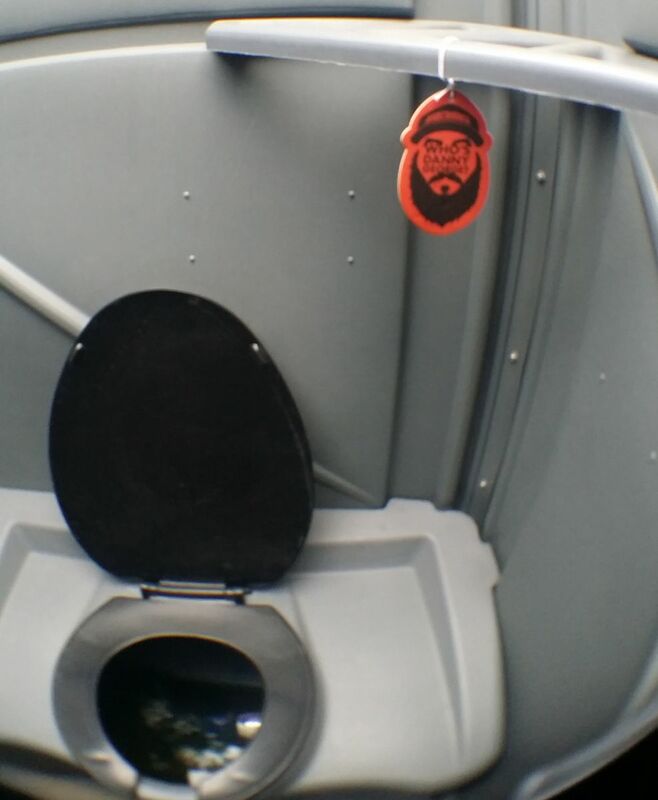 We took the car there and handed out several boxes of Danny George swag. During all the practice runs they had us running on the mountain from 5am to 9am. The weather was cool those days and also it was super early. We’d added the water spray system to hep keep his rear mounted radiator keep the engine coolant temps down and it was all working fine. 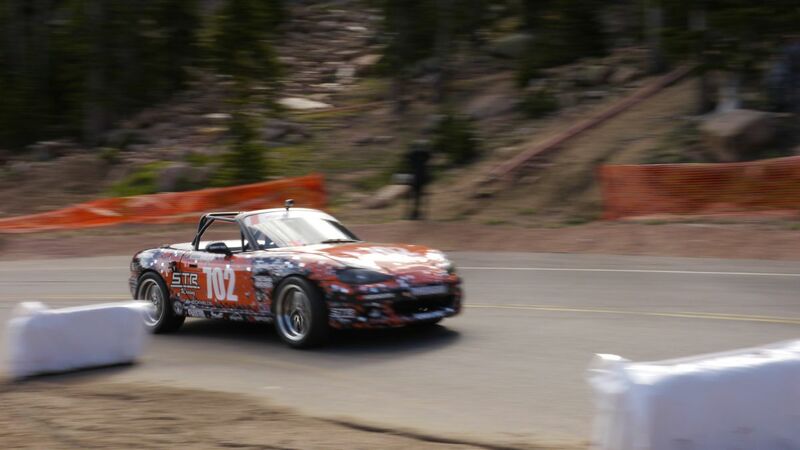 We decided to drive the RRE Rally Box Van to Colorado to help Danny George prepare to run his FD Miata up Pikes Peak. We met him at John’s house there in Colorado Springs to help make the conversion from drift to grip. We pretty much took over the driveway, garage and turned the basement into a dorm room with 7 guys all camped out on the floor. Pics are in the gallery below. 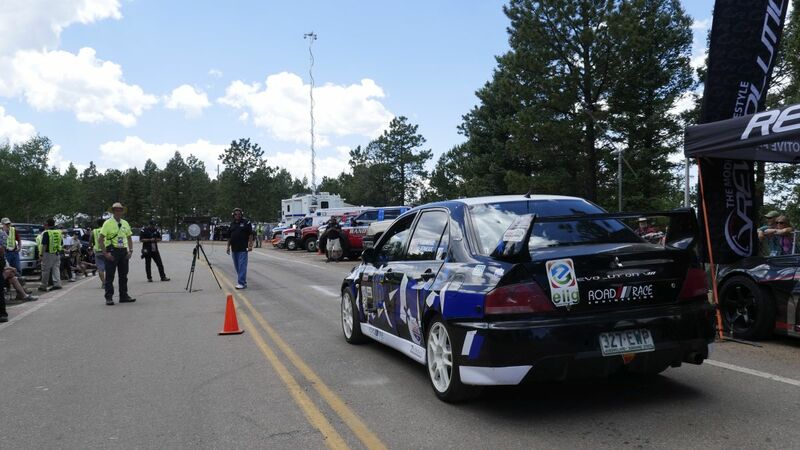 Once the car was ready, we took it to Pikes Peak Raceway to do some practice with the grip setup. Then up the mountain at 4am to be ready to run when the road opens up for practice at 5am. Then they run to 9am when the road is open to the public. They divide the course into 3 sections and each day you practice one section with your run group. Before this event we mentioned that we were ready to battle, and battle we did! Piloting the Road Race Engineering Berk Technology Nissan 350Z powered by Champion Spark Plugs through both the PRO and PRO2 categories at Formula Drift’s newest venue Homestead-Miami Speedway, our driver Carl Rydquist started off with winning 1st qualifying spot in PRO2, followed by a 23rd qualifying result in PRO, then Carl went onto win 3rd place in the PRO2 tandem competition on Friday night and finally capped off the weekend with a Top 16 finish in PRO. Carl’s FormulaD Pro2 podium finish under the sunshine of Miami has made one of my biggest dreams come true in my favorite racing series. It feels wonderful to work with such a talented, young and passionate team. I’m so proud to be part of it and thankful for the opportunity. We can feel the love from our fans and with the support from our sponsors, that is what keeps us working harder. What an amazing weekend! 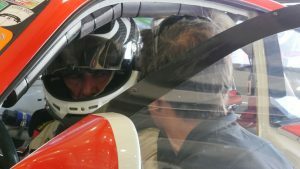 The team behind this car consists of Road Race Engineering, Berk Technology and S-Empire, Carl explains, and it’s a strong combo that combines tons of experience with brains and competence to find solutions to the challenges we come up against and to execute the jobs that are needed. 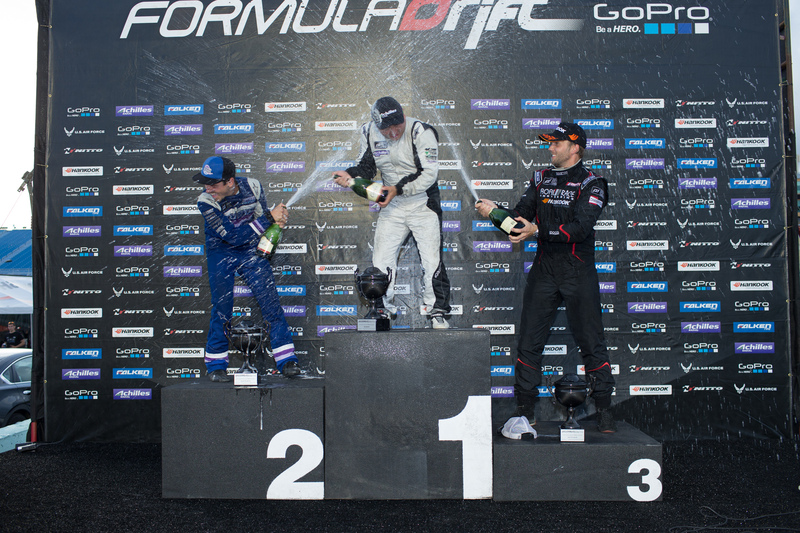 I am equally impressed, fascinated and thankful and I’m extremely happy to have won my first Formula Drift trophy! 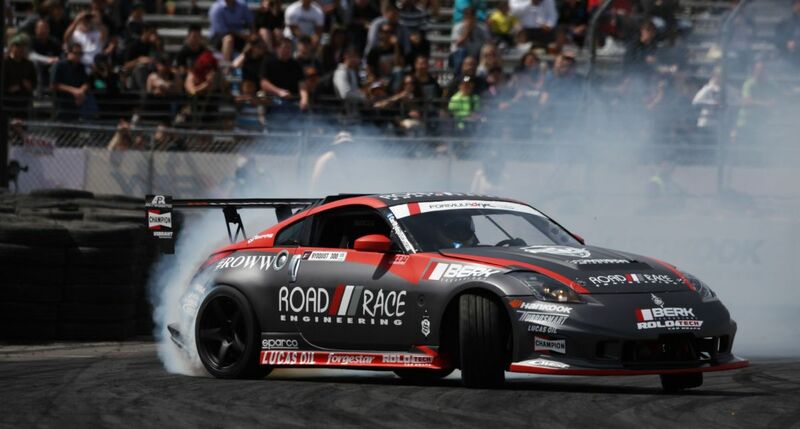 Formula Drift PRO Rd4 in New Jersey takes place on June 20-21 and our preparations have already begun. The Z chassis, then powered by a V6 engine boosted by a Garrett GT3582R turbocharger ran well there last season so we have a great baseline and Carl did well in qualifying at that track, but still with today’s level of development speed in Formula Drift we have to work tirelessly on sharpening the competitive edge to climb further up the standings where we are currently sitting in 29th place in the PRO series and 3rd in the PRO2 standings. 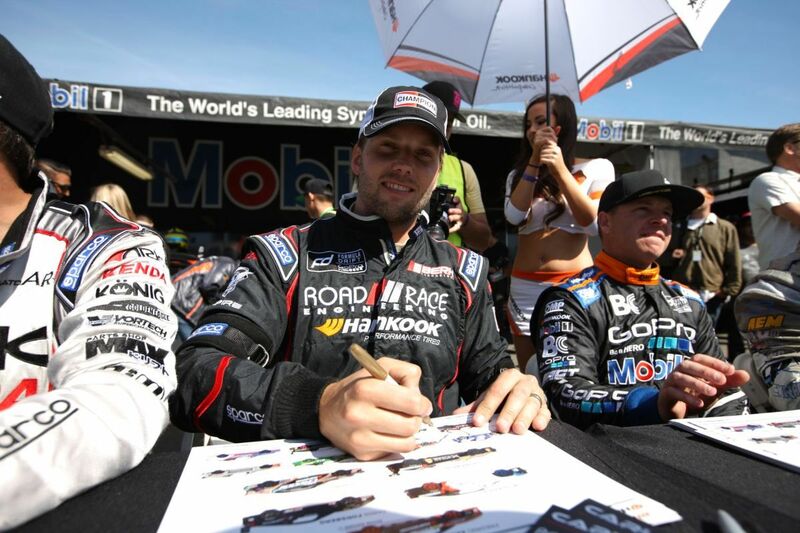 We have amassed great momentum during the start of the 2014 season by excellent working relationships with our technical partners and with great support from fans around the globe, however we did suffer a no-points weekend in the second round of the 2014 Formula Drift PRO Championship by taking 34th spot out of 60 cars at Road Atlanta. Now how do you handle a gut punch like that? Answer: Like a Champion. 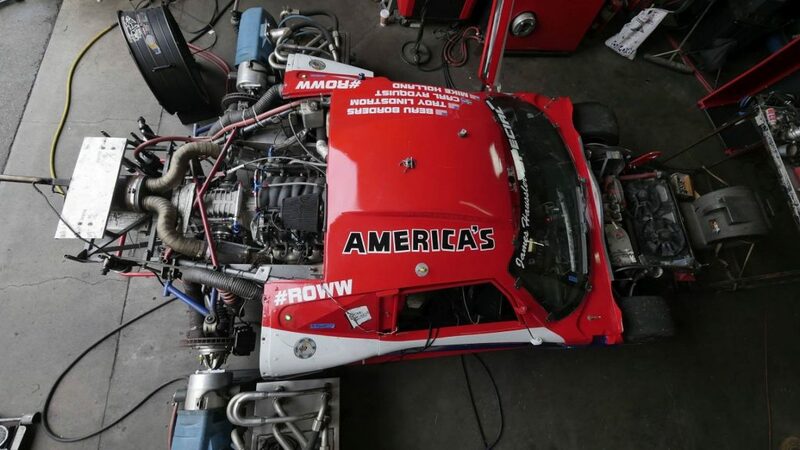 Road Race Engineering’s 2014 Formula D Season debut happened in front of a sold-out crowd of more than 20,000 drift fanatics in Long Beach California last weekend. 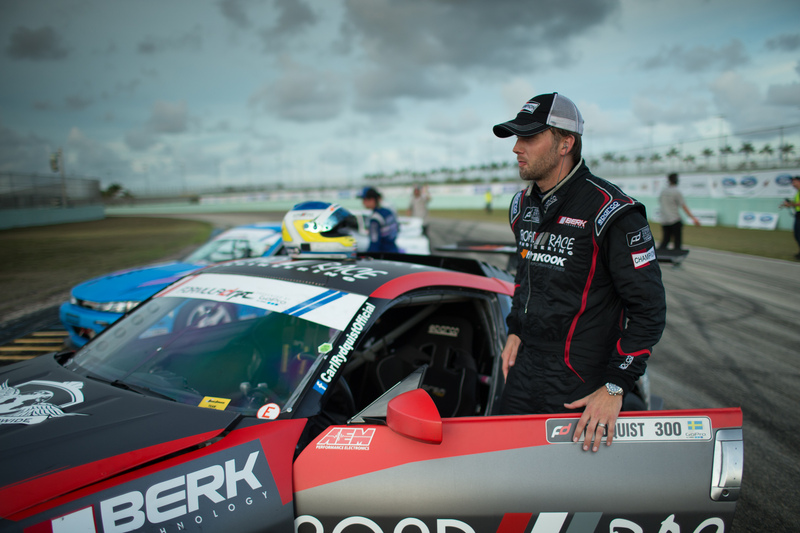 Our practice session ran trouble free and our driver Carl Rydquist qualified the Road Race Engineering Berk Technology 350Z into 24th spot among 64 professional drivers. 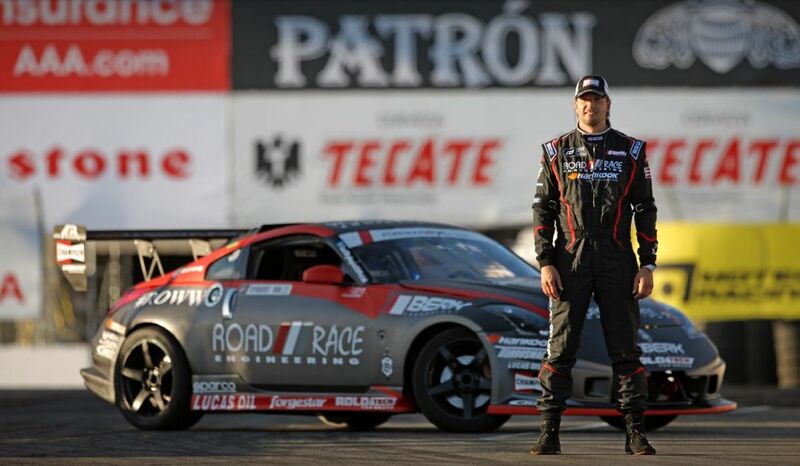 This was Carl’s best result since his Formula D comeback (best previous FD qualifying position to date: 7th, 2009). During the Top 32 tandem practice sessions it was clear that the car was significantly quicker now than last season. The tight turns and close walls of the Long Beach Grand Prix circuit isnt necessarily known as one of the higher speed drift events. But it was obvious that Carl was able to chase down several other big power cars. In the battle for a spot in the Top 16 bracket, Carl was able to pull out a gap in his lead run thanks to the Garrett GTX4088R turbo powered LS2 V8 and our sticky Hankook Ventus R-S3 tires, however being fast also turned out to be a challenge in the follow run behind opponent Forrest Wang. Carl comes from a road racing back ground and said: “I am used to being in front and racing hard to leave the competition behind so that part went as planned. While I was following Forrest, I started out too close too soon and simply bogged down behind him and he was able to maintain great angle and line at a relatively low speed. 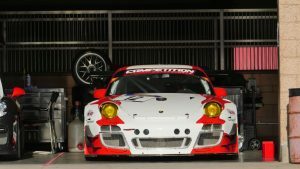 Thanks to the qualifying result Carl and the team are moving onto Round 2 at Road Atlanta in 19th place, tied in points with among other drivers former champions Daigo Saito (2012) and Daijiro Yoshihara (2011). 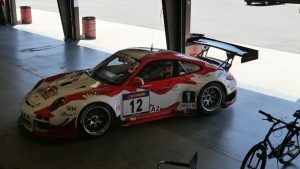 See you at Road Atlanta on May 9-10 or on the FD Livestream! The RRE/Berk Technology LS Turbo powered 350Z was all ready for the show and safely in the pits the night before the FD season opener in Long Beach California. Danny George had some last minute parts challenges and a long haul from Las Vegas and needed a place to spread out and finish up some details the night before the race. 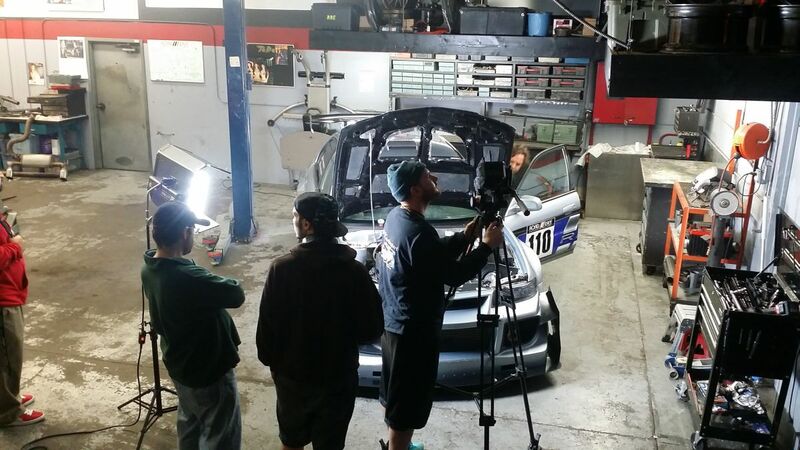 We opened up the shop, the dyno and some sofas to crash on for our 2nd favorite Formula D team for an all nighter. 5 year old Bryce’s first day on a track. Before he was the parking lot king on his little kart. We went testing with Carl Rydquist’s FD 350Z and Bryce was able to get on the oval at Willow Springs to pick up his speed some finally. We have the rebuilt refreshed respiffyfied repowered 350Z up and running after the off season rebuild and overhaul. Time to go testing at Willow Springs Raceway. Last season Carl’s 350Z ate it’s VQ turbo motor half way through the season. He made the decision to simplify things and go LS2 V8 power. With some higher flowing cylinder heads and a little Nawz it was running high ~400 whp to the wheels. Enough to drift on but not enough to make mad smoke on demand and put the car sideways at will. So in the off season Art (S Empire) and Sam added a Garrett GTX 4088R turbo to the mix. With Sam’s tune using the AEM EMS Seris 2 ECU we now had all the power we needed and then some. Time to make some smoke and dial in the suspension for the new power. This thing’s getting quicker now. First time out with the Road Race Engineering (official) 350Z with this mad S-Empire turbo V8 setup. Turned out to run solidly so far in the SoCal sunshine (knock on wood! ), so I started to play around with it. Small but crucial chassis setup adjustments by Berk Technology ended up giving me a really good car. Great feeling in the car, very solid feeling and completely different sound with turbo and straight cut gears. Love it. Going to have a lot of fun taking this to the Streets of Long Beach. We took the Dr Alex EVO 6 with the new Varis widebody to a Speed Ventures track day at Auto Club Speedway this last weekend to dial in the Stoptech Trophy Brakes a bit. This is the first full run with the car with the Muellerized Ohlins, 18×11 Volk SSL wheels and Hankook tires. The car has the OBP Motorsports pedal box with tandem master cylinders and cockpit adjustable front to rear brake bias.